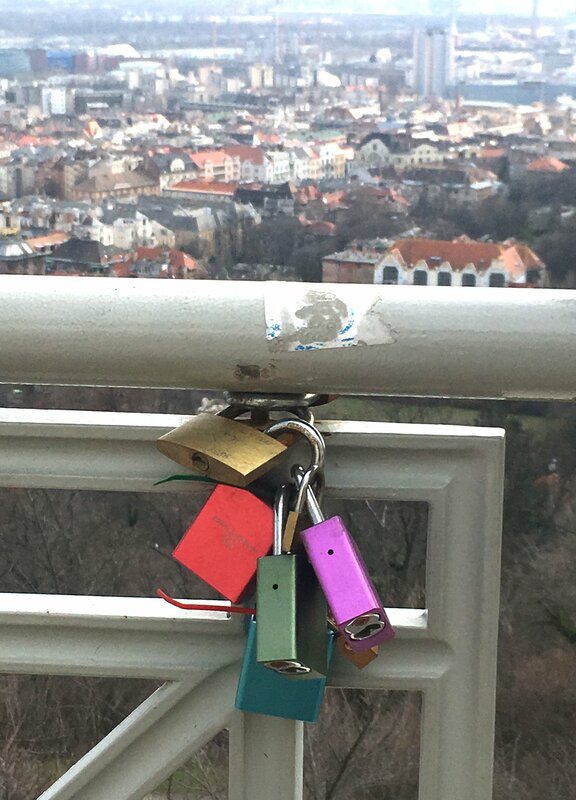 Like on the bridges in romantic cities, lovers have their names written on a lock, fasten the lock to the structure and throw away the key to symbolize their everlasting love for each other. How many of these locks are hanging off another? Why would you lock yourselves to another couple's relationship?